Osteoarthritis is generally due to wear and tear on the knee. Genetics also plays a role. 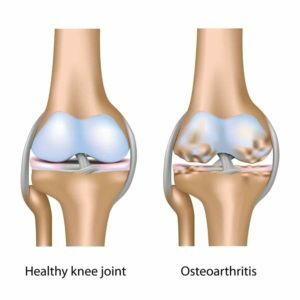 If your siblings and parents have osteoarthritis of the knee then there is a strong likelihood that you might suffer from it as well. Previous injuries or trauma can also lead to arthritis of the knee. 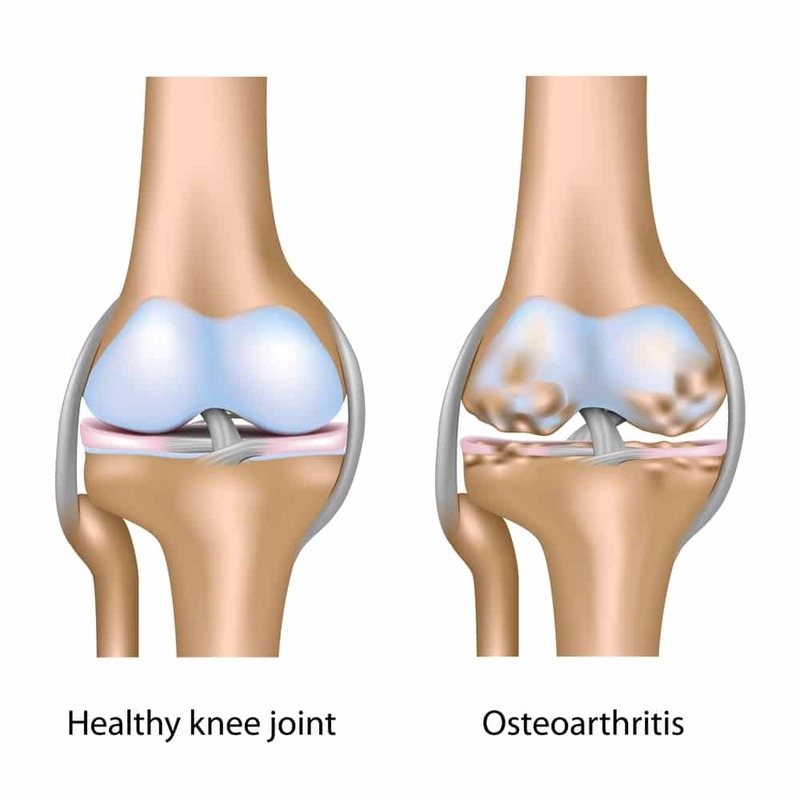 Osteoarthritis involves a gradual loss of cartilage or cushioning from the ends of the bones in the knee. The cartilage gradually wears away, both for mechanical reasons (your weight, or a prior injury), or the cartilage may wear away because of the hostile chemicals your knee produces when the arthritic process starts. When your knee hurts due to Osteoarthritis you will also notice swelling, clicking, and grinding. When the inflammation due to arthritis is severe you may also have pain at rest and at night. Unfortunately, arthritis can not be reversed or cured. But many physicians have started offering their patients injections of PRP to treat their knee arthritis pain. Over the years there has been growing evidence that PRP can help moderate the pain of knee arthritis and improve your quality of life. When a PRP injection for knee arthritis is performed, we take a small sample of your blood, and we place that sample into a centrifuge. The centrifuge will separate your blood into many different components. Towards the bottom of the tube we will find your PRP layer. We carefully remove that layer of PRP from the tube and place it into a syringe. After we clean and sterilize a small area of your knee we will numb the skin. Once the skin is numb we will inject the PRP into your knee. This is typically a 30 minute office visit. PRP injections into the knee are generally very well tolerated. Most people will complain of a feeling of fullness. Most will also note that the knee is achy for a few days. Very few people complain of severe pain. Are PRP Injections Into the Knee Safe? PRP injections are very safe. If your blood is taken from you under sterile conditions, and your knee is prepared with appropriate antiseptics then the risk of infection or other complications is very low. There are no zero risk procedures. How long does a PRP knee injection take? The entire process of taking your blood, preparing it in the centrifuge and injecting it into the knee will take approximately 30 minutes. How should I prepare for a PRP injections? The most important cell contained in the PRP injection are the platelets. Those platelets are affected by NSAIDs or anti-inflammatory medications such as Aspirin, Advil, Motrin, Alleve, etc. 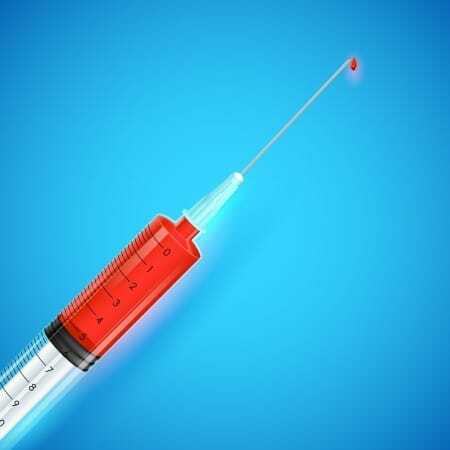 For the injection to have the most effect you should be off of those medications for 1 week before the injection and two weeks afterwards. If you are on aspirin for medical reasons you should check with your cardiologist first. Are PRP Injections Covered By Medicare? Unfortunately, most all commercial insurers as well as Medicare do not yet cover the cost of PRP injections. The cost in many centers can be very high. It may pay to shop around. $500-$1000 is an average “reasonable” fee for PRP knee injections in our region in New York. No, the more expensive PRP injections are not of a higher quality :-). How long does it take for PRP injections to work? When will I start to feel better? Most PRP injections given for knee pain will start to improve your pain within a week or two. The pain relief usually continues to improve up to 6 weeks after the injection. The pain relief following an injection will often last up to 9-12 months. At that time you can choose to have another injection. If you have a partial response, and the knee feels better, you may choose to have a second PRP injection approximately two months after the first one. Are PRP Injections Effective For Knee Arthritis Pain? Research into alleviating arthritic knee pain shows that PRP injections are an effective way to manage pain that has not responded to more traditional measures. Compression sleeves are also very useful in addition to PRP injections. Many studies over the years have been performed looking into PRP as a treatment for knee osteoarthritis. Most all of the studies show that PRP injection given for mild to moderate knee arthritis pain are effective. The injections appear to be more effective than “gel” injections, and they also appear to be more effective than placebo injections. 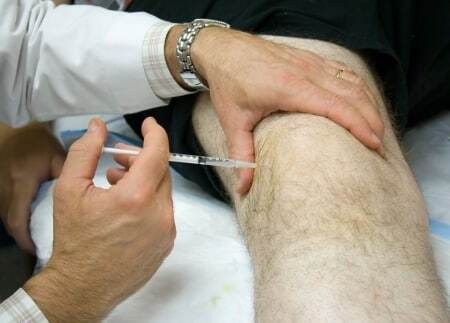 It is important to understand — PRP injections for knee arthritis will not cure the arthritis. One paper listed below did show less progression or worsening of the arthritis after PRP injections. This is a very hot area for research right now. But as I am writing this (Updated February, 2018), there are no injections available to cure your arthritis. Not een stem cells. PRP is simply something we can offer you to try and minimize the pain that you are suffering because of the arthritis. There have been many studies performed … here are excerpts and links to a few of the more recent studies. In patients with symptomatic knee OA, PRP injection results in significant clinical improvements up to 12 months postinjection. Clinical outcomes and WOMAC scores are significantly better after PRP versus HA at 3 to 12 months postinjection. Platelet-rich plasma seemed to result in no change (further cartilage loss) by MRI per knee compartment in at least 73% of cases at 1 year. On the basis of the current evidence, PRP injections reduced pain more effectively than did placebo injections. Efficacy of PRP injections, a meta-analysis and review. This is an area of intense research and interest. Many potential injectables are being studied right now to see if they can alter the natural history of arthritis — or reverse the arthritic changes that have occurred over time. Right now, those injections are not available. PRP injections have been used for many years now and the literature seems to show that the injections are safe when performed to moderate the pain you have from knee osteoarthritis. Unfortunately cost remains an issue for many. As more and more research is performed in this area, perhaps the insurers may start to consider this a reasonable treatment to cover. AS always, an because the science is advancing rapidly, our Disclaimer applies. When you get PRP in knees how long do you need to stop anti inflammatories????? Long as possible.. few weeks. Unless you are on Aspirin as directed by your Cardiologist or Primary care — in those instances it may not be safe to stop it.